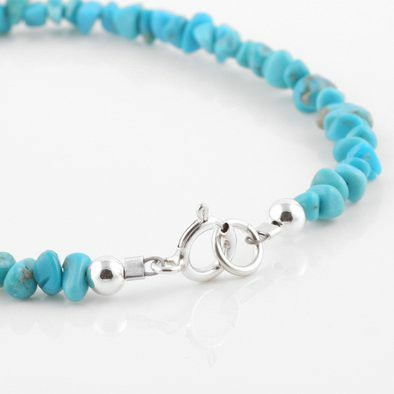 This 100% genuine turquoise bracelet measures 8" long. The stones measure about 1/8". 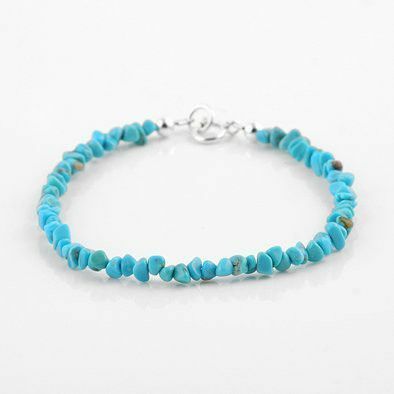 The turquoise is all natural, from the American Southwest, and is simply stunning when worn. 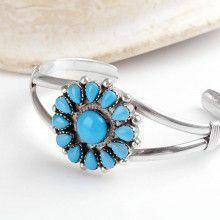 This bracelet is an extracellent choice for anyone; its beauty will never go out of style.